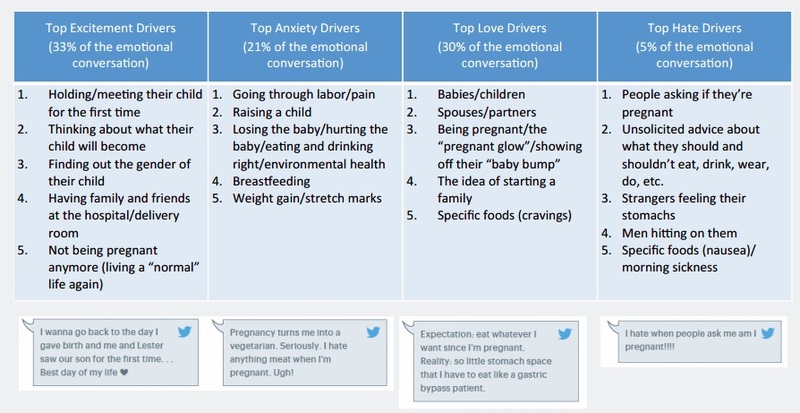 Which emotions do people express most often on social media when graduating, buying a home, and during pregnancy/giving birth? To find out, Networked Insights analyzed billions of posts on social networks to determine which positive and negative emotions consumers express during these times. In particular, the researchers looked to see whether the posts around each event conveyed excitement, anxiety, love, or hate. Overall, people tend to express positive emotions on social media for all the big life events examined, with nearly three-quarter of conversations about graduation (73.9%), home buying (72.5%), and pregnancy/birth (71.2%) being positive. 52% of social posts about recently graduating express like/love, with the top topic being about now having a career rather than a job. 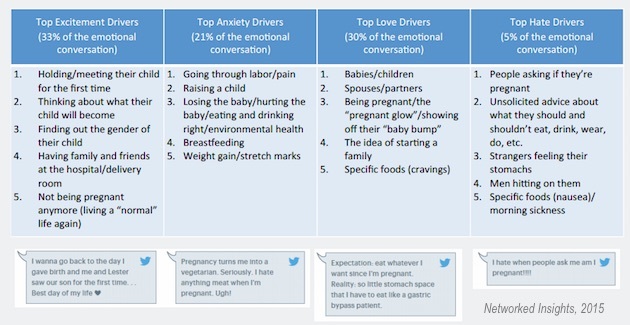 19% of posts express anxiousness, with the top topic being about the future moving too fast. 51% of social posts about recently buying a home express like/love, with the top topic being about bringing pieces of the old home to the new one. 21% of posts express anxiousness, with the top topic being about trying to find services in the new area. 33% of social posts about pregnancy/giving birth express excitement, with the top topic being about holding the baby for the first time. 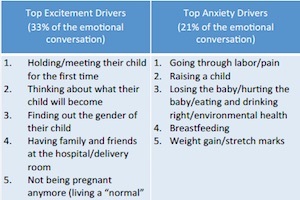 21% of posts express anxiousness, with the top topic being about going through labor pain. About the research: The report was based on an analysis of billions of posts on social networks.